Thank you so much for all your help and great service. Columbo is an American crime fiction TV series, starring Peter Falk as Lieutenant Columbo, a homicide detective with the Los Angeles Police Department. The show popularized the inverted detective story format; almost every episode began by showing the commission of the crime and its perpetrator. Thus, there is no "whodunit" element, the plot revolving mainly on how the perptrator whose guilt is known would finally be exposed and arrested. The character first appeared in a 1960 episode of the television-anthology series The Chevy Mystery Show. This was adapted into a stage play, and a TV-movie based on the play was broadcast, in 1968, as the pilot for a series. The series began on a Sunday presentation of the "NBC Mystery Movie" rotation, which included McCloud, McMillan & Wife, and other whodunits. The series spawned a similar format on Wednesday nights with fare such as The Snoop Sisters, Hec Ramsey, and Banacek. 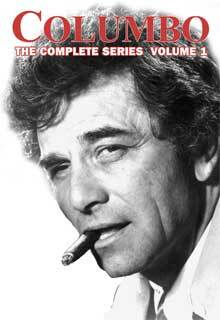 Columbo aired regularly on NBC from 1971 to 1978, and sporadically on ABC from 1989 to 2003. Columbo is a scruffy-looking cop who is usually underestimated by his fellow officers, and by the murderer du jour. Despite his appearance and superficial absentmindedness, he solves all of his cases and manages to come up with the evidence needed for indictment. DVD will play on any DVD Player(or Playstation, XBox) Worldwide. 100% Customer Satisfaction or your Money Back. 30 day return for full refund. Received today thanks for the quick shipping. Thanks so much I will be back for more. Got them yesterday everything looks good!